Fashion is not just limited to adults. Now, kids fashion is just as updated as ours. And I love that kids can wear a tutu or a tiara and can still get away with it, hehe! 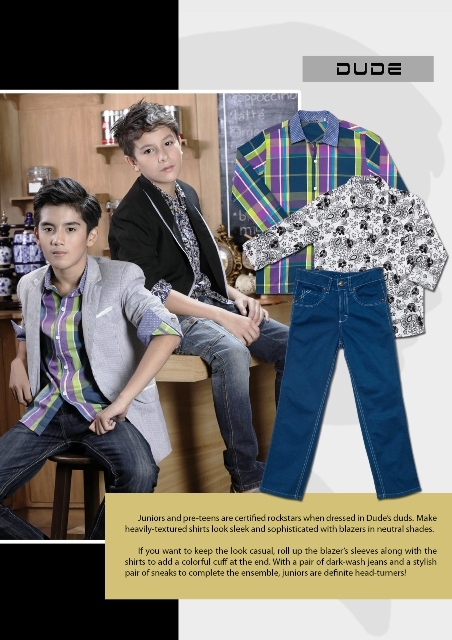 :)) Here are some of the latest trends for kids from SM Department Store. Modern Princess adds an edgy twist to traditional party dresses, making girls stand out in any occasion. The Holiday Collection is composed of dreamy fairy-like dresses, opulent rosettes, unique drop-waist skirts, and plush capelets with bows. 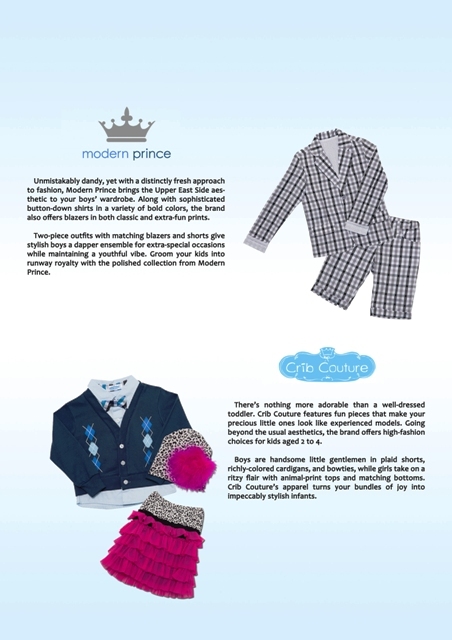 With these lavish pieces, Modern Princess turns young girls into stylish trendsetters fit for royalty. Calling all little girls who dream of becoming a princess, Modern Princess is here to let you dress up as one, only better! These colorful dresses add a fun spin to traditional party ensembles and make any girl the life of the celebrations.Pair them with silver sandals for a touch of glimmer and complete the whimsical look with a tiara! Dressed up doesn't always have to mean toned down for kids. Brighten up the standard black suit with a colorful bowtie in complementary shades, like periwinkle. For a daytime affair, have some fun with a white suit by adding livelier colors like turquoise and salmon. A nice pair of boat shoes loosens things up without straying into informal territory. 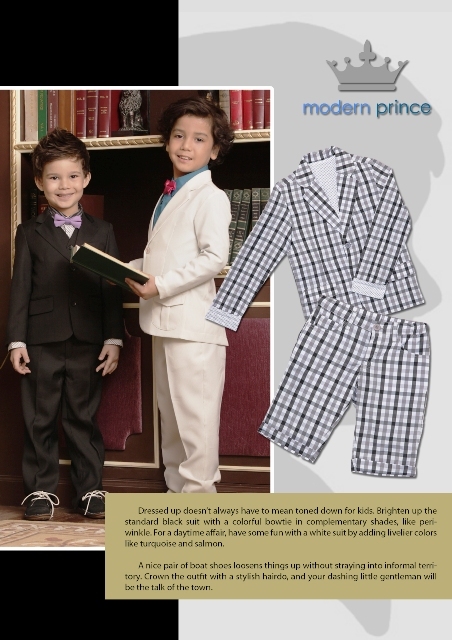 Crown the outfit with a stylish hairdo, and your dashing little gentleman will be the talk of the town. Exuding a glam girl vibe, the Blush Holiday Collection features a rich array of shimmering hues, sequins, and bold prints, allowing trendy tweens to create glitzy ensembles that showcase their unique personalities. From metallic leggings to sequined dresses, the brand urges them to develop their own sense of style and express their inner glam diva. A clever combination of feminine silhouettes and playful textures, Little Miss offers trendy and colorful outfits that never go out of style.Polka dots take center stage in its Holiday Collection, along with ruffles, vibrant hues, and unique drop-waist skirts.Suited for the lass stylish beyond her years, Little Miss makes every girl a fashion icon in her own right. Composed of playful basics, Girls Edition provides a fun range of colorful tops and bottoms suitable for active little girls.The Holiday Collection features mid-pastels, embellished prints, and tulle appliques, allowing young girls to mix and match pieces to create a fashionable ensemble. Juniors and pre-teens are certified rockstars when dressed in Dude’s duds. Make heavily-textured shirts look sleek and sophisticated with blazers in neutral shades. If you want to keep the look casual, roll up the blazer’s sleeves along with the shirts to add a colorful cuff at the end. With a pair of dark-wash jeans and a stylish pair of sneaks to complete the ensemble, juniors are definite head-turners! A beloved brand known all over the world, Hello Kitty makes a unique statement with its Holiday Collection. The adorable collection includes playful yet feminine silhouettes made of ruffles, polka dots, and fun prints, while the color palette features a mix of bright pastels and monochromatic tones with hints of gold and silver. I love Little Miss and Girls Edition. Would buy several pieces at a time before they ran out of size or stock! The designs are so modern, colors so nice, and the fabric excellent for kids everyday!